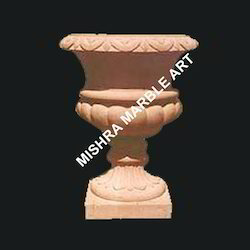 Leveraging on our wide experience in this industry, we manufacture and supply enormous kinds of Marble Handicrafts. We check the quality of these products on various parameters to ensure only flawless products are delivered to customers. Our organization specializes in offering a wide collection of Fruit Planters 4 to our clients, which is designed using best grade raw materials. These are highly appreciated by our clients for the strength and durability. Furthermore, our range is extensively used in homes, parks and various sectors. Our esteemed clients can avail our range at industry leading prices.